A powerful and super-fast computational engine that provides significantly improved solution methods for nonlinear models, control systems and user-defined models. An advanced, yet easy-to-use graphical user interface that maximizes the capabilities of the underlying EMTP-RV engine. EMTPWorks provides many customization options and one can easily adapt it to match its unique needs. Provides waveform visualization and advanced mathematical post-processing capabilities. ScopeView is a data acquisition and signal processing software very well adapted for the visualization and the analysis of EMTP-RV simulation results. 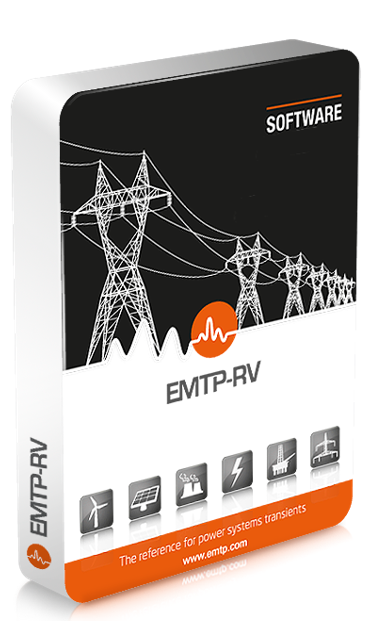 EMTP-RV accepts several simulation options which are performed for arbitrary network configurations. All options are applicable to all devices within documented rules of device behavior. Can’t find exactly what you’re looking for in the device library? Simply add your own user-defined device. Scripting techniques provide the ability to externally program device data forms and generate the required Netlists. A symbol editor is used to modify and customize device drawings. Scripting techniques are also used for parametric studies. EMTPWorks also lets the user define any number of subcircuits to create hierarchical designs.